UnderFoot provides interior designers, architects and contractors local access to fine carpet, rugs, and hard surfaces for floors and walls. One would have to fly to LA or NYC to find a quality selection equal to the choices offered here. The owners of UnderFoot have over 100 years of combined experience and a long list of satisfied clients. Their showroom offers the most unique, sophisticated styles plus cutting-edge design and color trends from leading sources around the world. They take great pride in their immense diversity of high end, luxury products available to the design community. With unparalleled service and product knowledge, UnderFoot is able to offer their clients custom capabilities that exceed even the most exacting specifications Details. Details. Details. Nothing overlooked. No corners cut. You can trust the experienced professionals at UnderFoot to assist in product selection, order oversight, and project management. They are proficient in residential, commercial and hospitality applications, and have supplied specialty flooring for casinos, restaurants, nightclubs, exclusive resorts, and country clubs. Working with us is a Simple 4 Step Process - 1. Schedule A Free In-Home Estimate Today - 480-692-7583 2. Meet Our Design Consultant and Select Your Flooring 3. 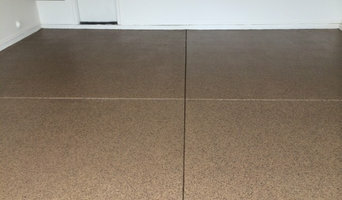 We Measure The Area and Provide a Quote For Material AND Installation 4. If You Love Everything Then We Can Install It The Next Day! You save your precious time and gas because we come to you! We provide a complete package price for material and installation backed by a *Lifetime Installation Warranty. You still get the same quality brands offered at other stores, just without the high retail markup. We sell brands like: Shaw Stainmaster Mohawk Dreamweaver Armstrong Mannington Tuftex Virginia Hardwood Palacio We sell all types of flooring: Carpet Luxury Vinyl Plank Tile (Ceramic, Porcelain, Travertine, Mexican, Saltillo) Laminate Engineered Hardwood Stone Ask about our hypoallergenic and antimicrobial Flooring options. We also are proud to sell Environmentally Friendly Flooring that is FloorScore, Greenworks, and LEED certified by the manufacturers. *In order to honor our Lifetime Installation warranty, we will only install products sold by Express Flooring as part of the complete turn-key package. Our showroom is located in the heart of Old Town Scottsdale and open Monday-Friday (9-5PM). Saturday by appointment only. We offer various types of fine, oriental rugs such as Oushak, Moroccan, Antique, Tibetan and Gabbeh and work with respected companies such as Tufenkian, Odegard, Madeline Weinrib and Tamarian. We service worldwide and offer doorstep service to local areas such as Scottsdale, Phoenix, Paradise Valley, Prescott, Sedona and the greater Phoenix area. Since 1973, David E.Adler, Inc. has been providing the highest quality service to buyers and collectors of antique and decorative rugs from every corner of the globe. We pride ourselves on delivering quality, variety and service to each and every one of our clients. We cater to interior designers, individual consumers, antique dealers, carpet collectors and major auction houses throughout the world. No matter what type of antique rug you are searching for, we will provide you with fine quality carpets, excellent client support and great value from our comprehensive selection of antique and decorative carpets and rugs. 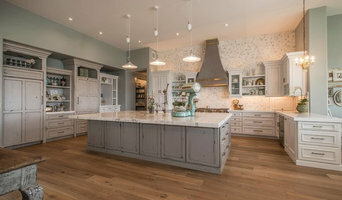 Over the past 15 years, Inex Creative Floors, Inc. has worked together with homeowners, designers, architects and builders in the Phoenix metropolitan area to bring creative ideas to life and help homeowners build their dream homes. Our project portfolio includes every kind of interior space, as well as exterior designs. Beyond flooring, we specialize in backsplashes, showers, fireplaces, entries, ceilings, and various other designs and work with an array of materials. From new custom homes and businesses to residential and commercial remodels, with the expert knowledge, skill and dedication of our team, the possibilities are endless. We pride ourselves on our customer service and establishing a collaborative and personal working relationship with our clients. 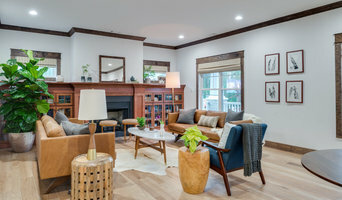 We view each individual project as a creative journey and, as licensed contractors, retailers and designers, we will to take you every step of the way in bringing your project ideas to life. Passion of Persia carries beautiful, artistic rugs with powerful colors and design, including many unique and antique pieces. Rugs vary in sizes and custom sizing is possible. Owned and operated by a Persian Master Weaver, Passion of Persia can repair damaged rugs to their original, beautiful condition, exactly matching the color and textile. 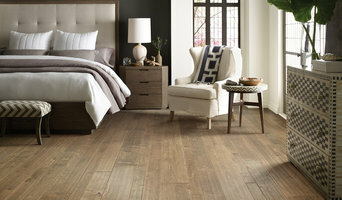 Arizona Home Floors offers the only DUST FREE flooring removal service in the Greater Phoenix area. Our proprietary, patented DustRam® System equipment, highly-trained staff and specialized processes allow us to eliminate the dust normally generated with outdated, traditional methods of flooring removal. Hiring other contractors who claim to be able to reduce dust can result in unexpected and significant costs to clean your home or to repair damaged caused by their inferior equipment or lack of expertise. If your flooring is not removed with our DustRam® System, it will NOT be DUST FREE! Traditional methods of flooring removal create large amounts of dust which will find its way into your HVAC ductwork, curtains, carpets, furniture, cabinets, closets and linger for weeks or even months. If anyone in your home suffers from allergies, asthma, COPD, other respiratory or medical conditions, please contact us for a Consultation & Estimate. ¿Qué tipos de suelos hay en Phoenix, AZ? ¿Qué puedo encontrar en una tienda de alfombras de Phoenix, AZ? Encuentra soladores y tiendas de alfombras en Phoenix, AZ. Mejora los resultados de la búsqueda en la sección “Profesionales” incluyendo el nombre de tu ciudad o comunidad autónoma. También puedes consultar las fotos de proyectos de los profesionales de Phoenix, AZ para encontrar expertos que hayan trabajado en proyectos similares al tuyo.